Garages may have been intended as a place in which to store a vehicle, but many people no longer use them for this purpose. In fact, organizing professionals estimate that only 30 percent of people are actually able to store their cars inside of the garage. Instead, a large number of families use the space in their garage to store other belongings, such as seasonal decorations, keepsakes and other such items. If your garage is cluttered and disorganized, follow these steps to reclaim the space. 1. Set aside some time. Depending on the size and contents of your garage, cleaning and organizing may take anywhere from one to four days. Set aside the time you think you will need to clear out the garage and clean it properly. If necessary, spread the cleaning over two weekends. Simplify the process by incorporating all of the members of your family and/or inviting some friends over to help you clean. If you have small children, consider leaving them with a babysitter while you organize the garage so that you don't have to worry about injuries or interruptions. Once you have your team assembled, go through everything in your garage. Even if you find boxes you haven't seen in years, take the time to open them and sort through the contents. As you go through your belongings, sort them into three boxes or piles labeled "keep," "sell or donate" and "throw away." 4. Organize the keep pile. Once you have finished sorting all of your belongings, dispose of the trash pile and move the "donate/sell" pile to another location until you are ready to deal with it. Sort your "keep" pile into smaller categories for organizational purposes. Examples of categories you may use include "tools," "sports equipment," "seasonal decor" and "keepsakes." 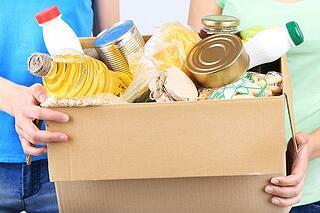 After you have organized all of the items you plan to keep, put them away neatly in plastic bins or boxes. 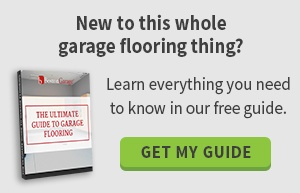 Use a garage organization system to keep everything off the floor and out of the way. Depending on your needs and budget, you may purchase a standard, pre-made garage organization system, or you may design your own system complete with custom garage cabinets. Now that you have organized all of your belongings, remove any debris from the space with a broom and use an appropriate cleaning agent to scrub the floor. Once the floor has dried, you can move your car back into the space. Cleaning out the garage is a lot of work, but your feeling of accomplishment will be well worth the effort. By following these tips, you can get the job done as efficiently as possible. Contact us for more garage organization tips!